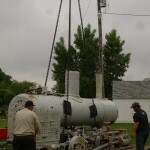 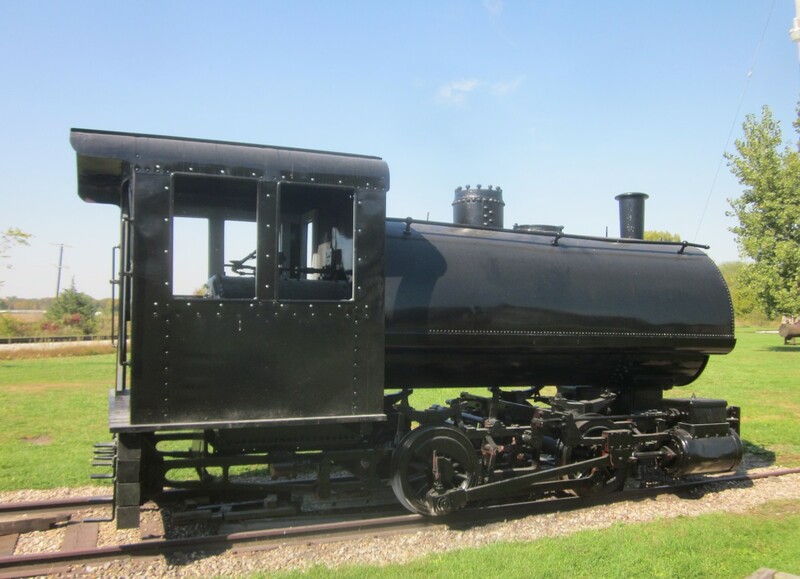 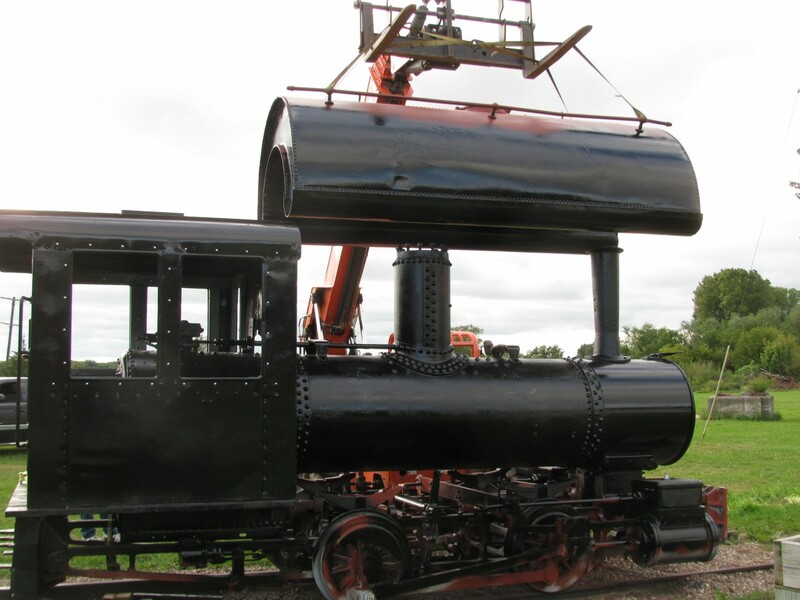 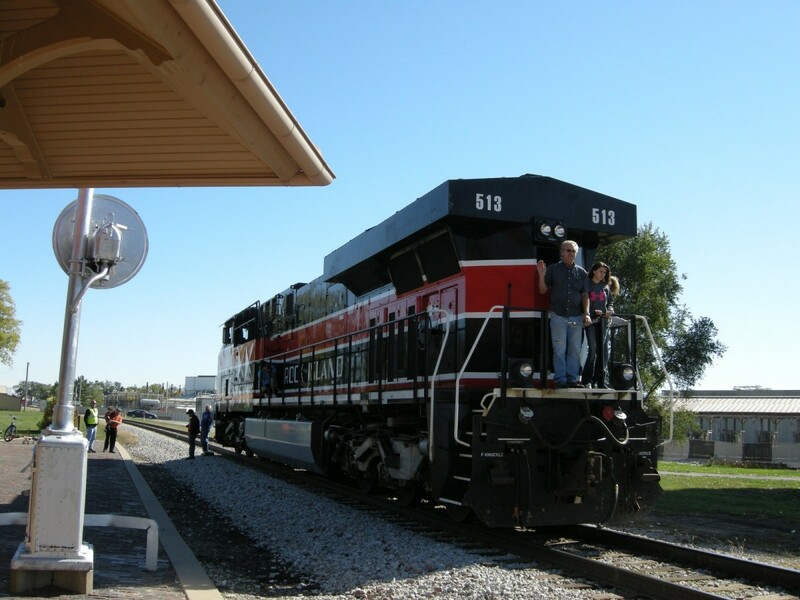 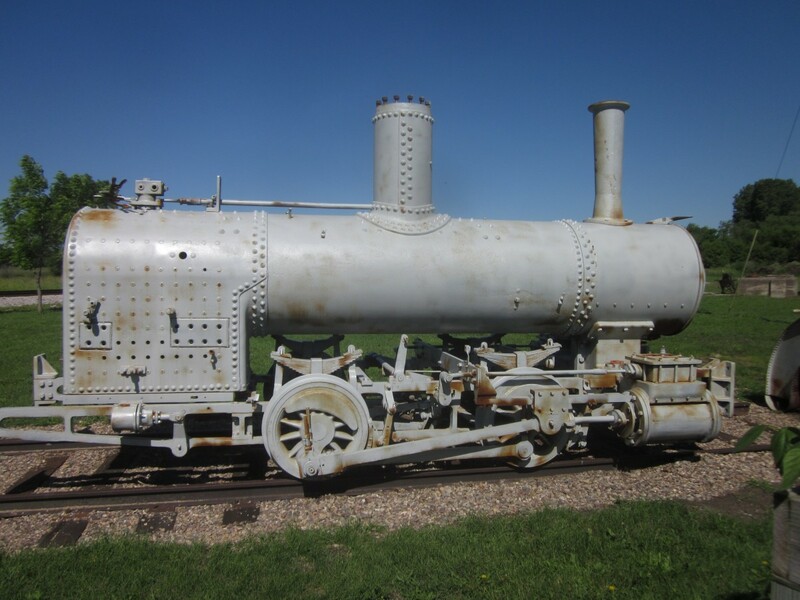 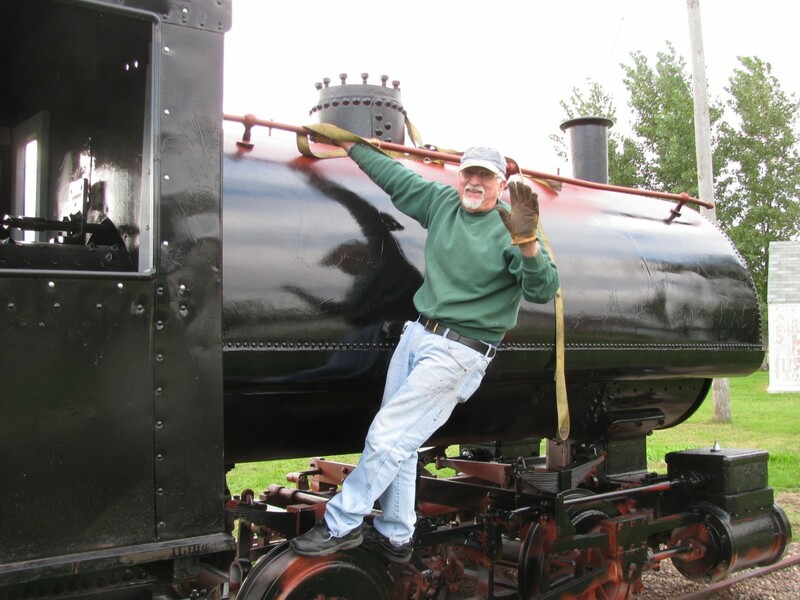 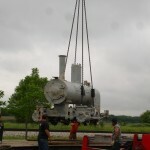 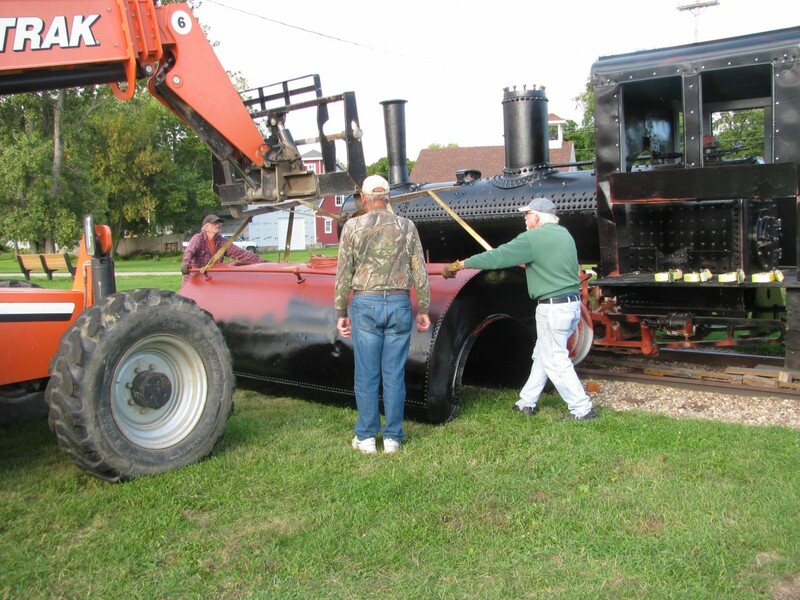 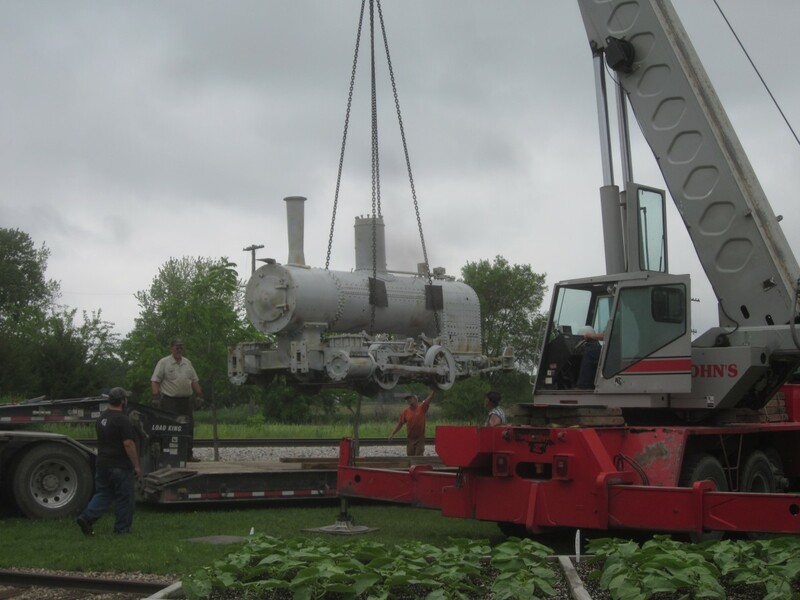 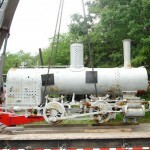 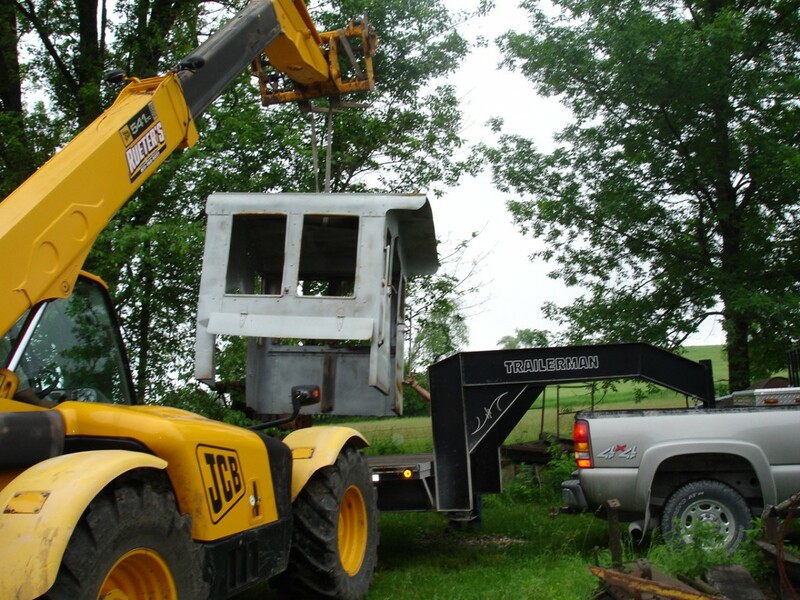 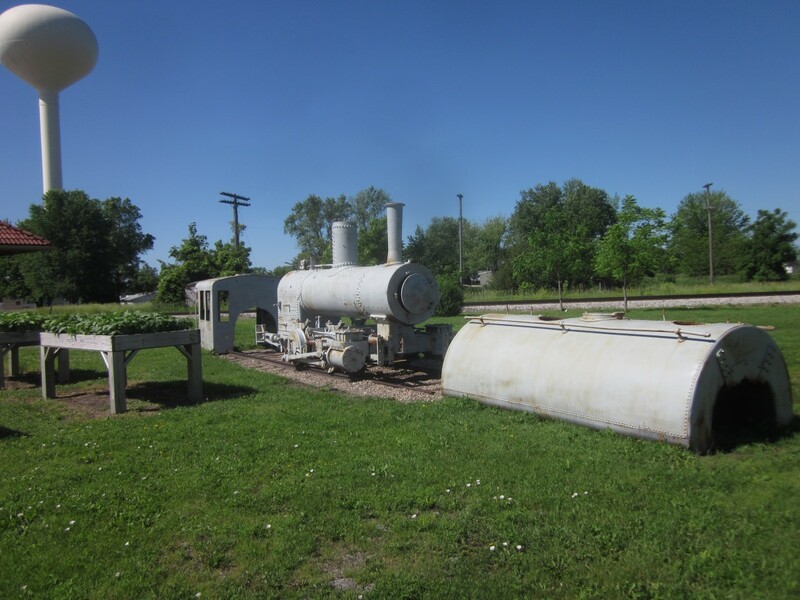 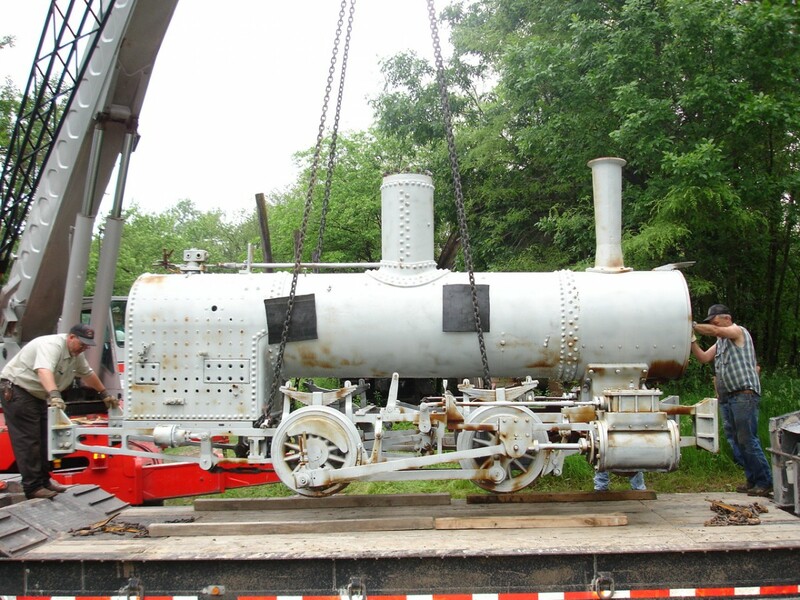 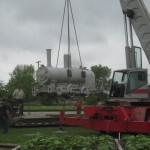 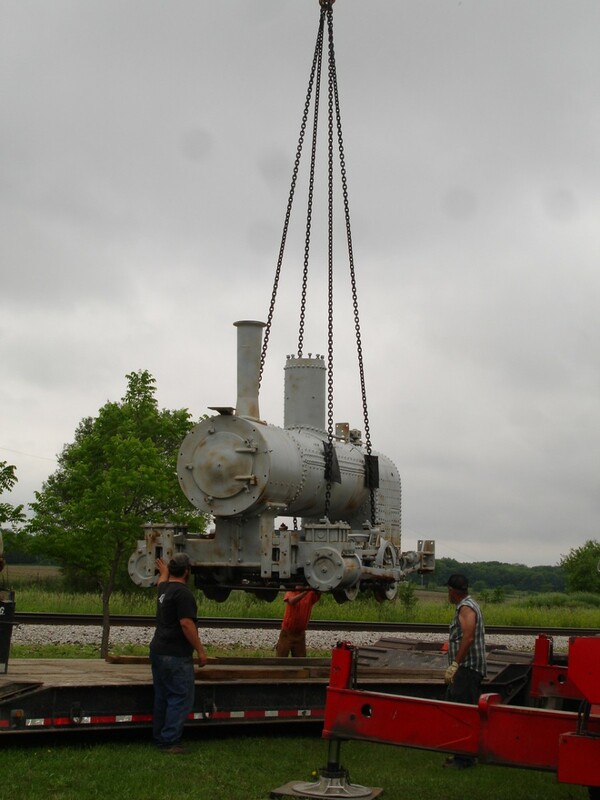 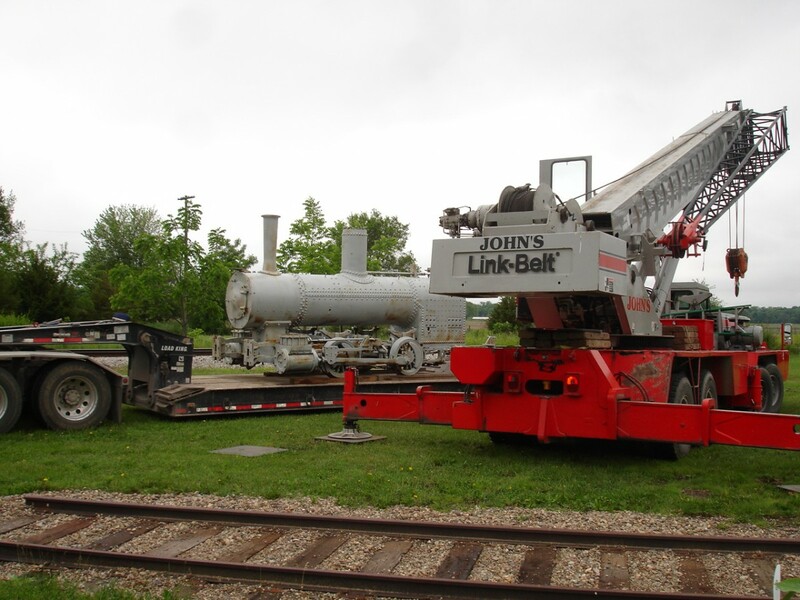 See the steam switch engine that was transported from the Solon area and arrived in June, 2014. 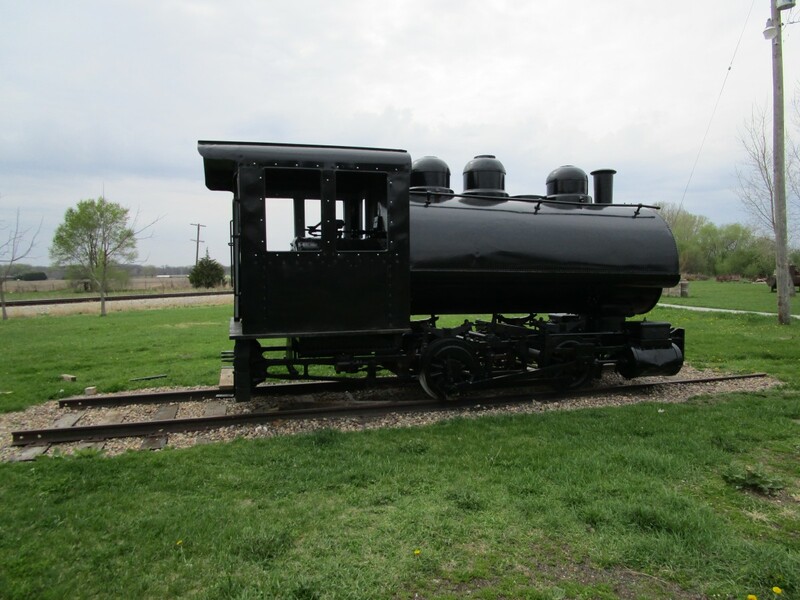 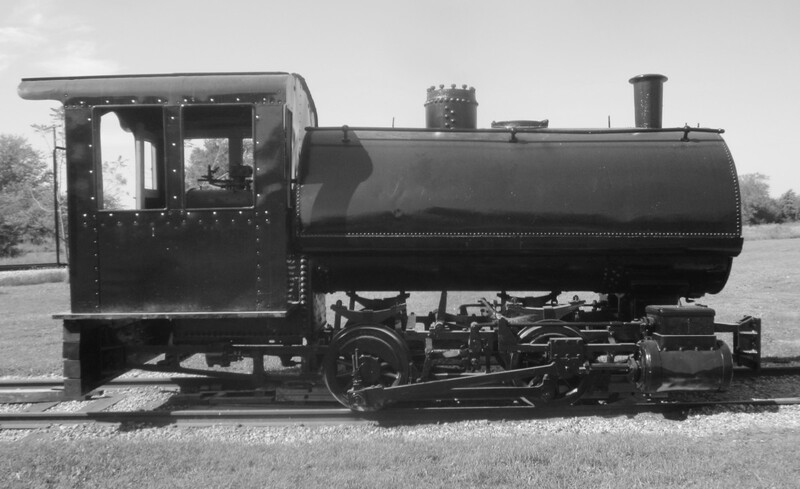 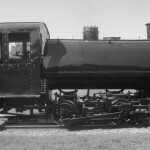 It was built by the Davenport Locomotive Works in 1925. 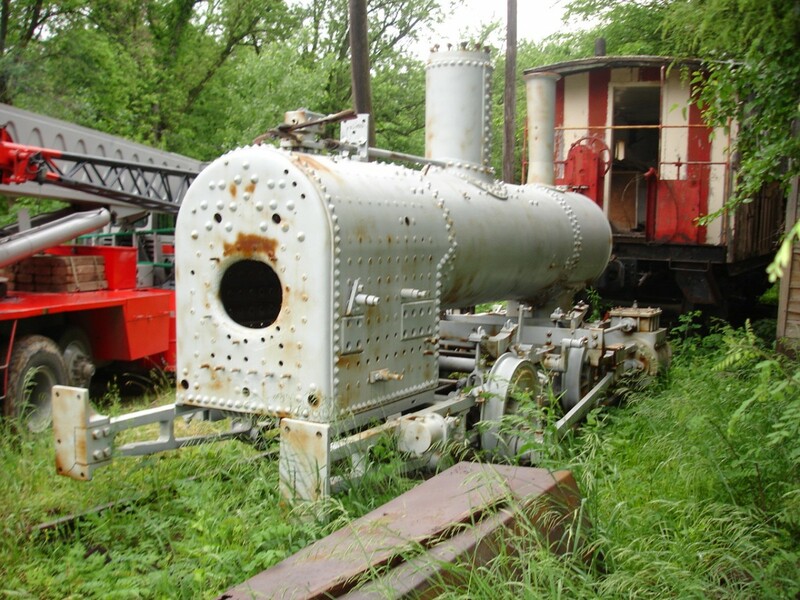 Arriving in three parts – the boiler with running gear, water jacket and cab, it is a work in progress as restoration takes place this year. 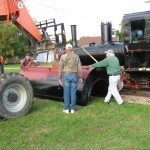 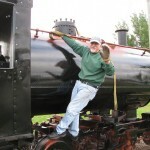 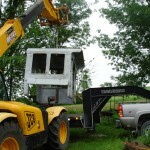 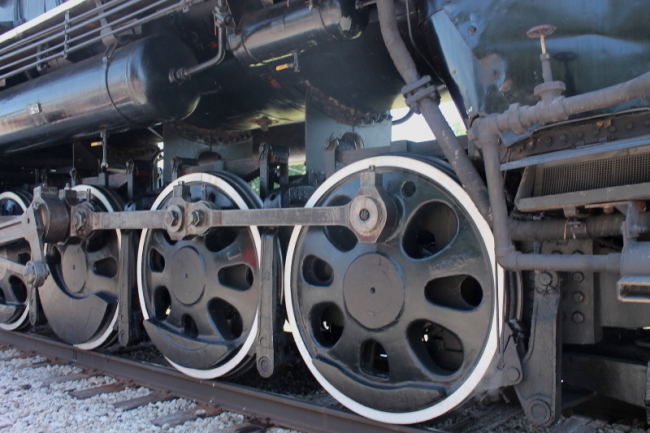 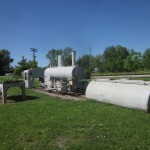 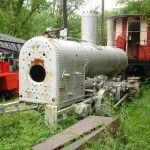 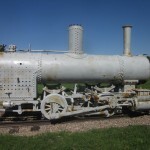 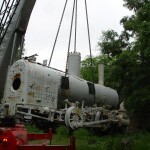 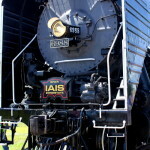 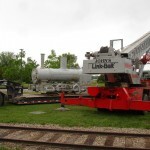 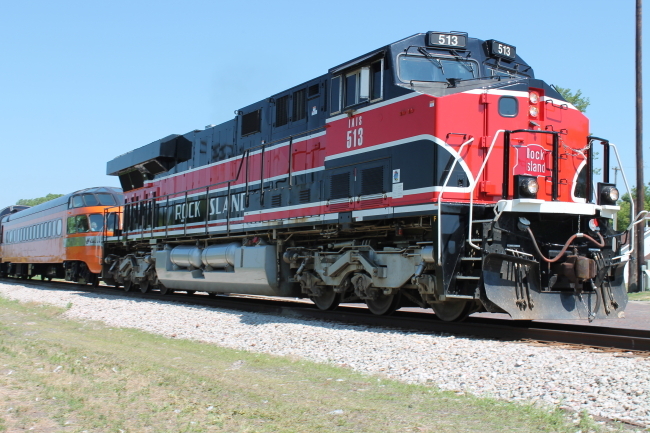 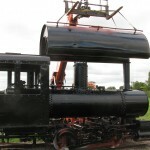 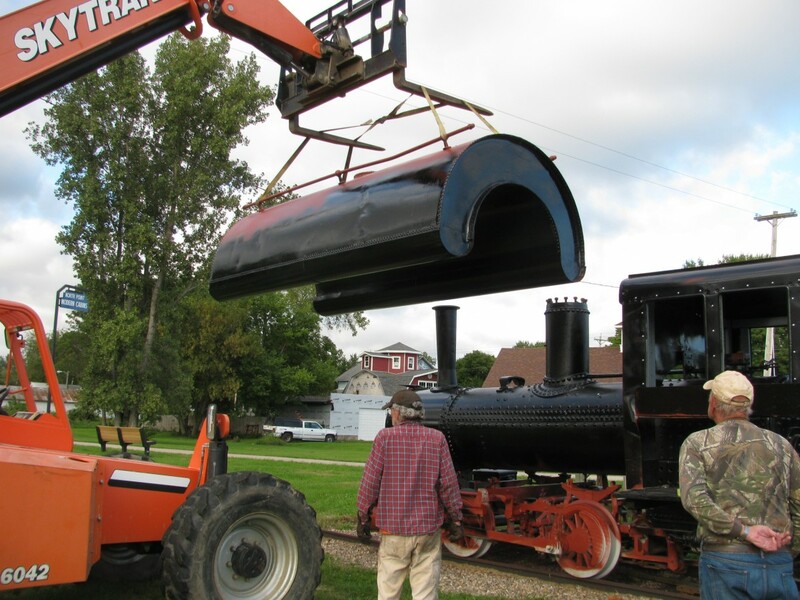 Photos show the transport and placement of the engine at Heritage Park. 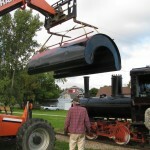 Following painting, the parts were put together. 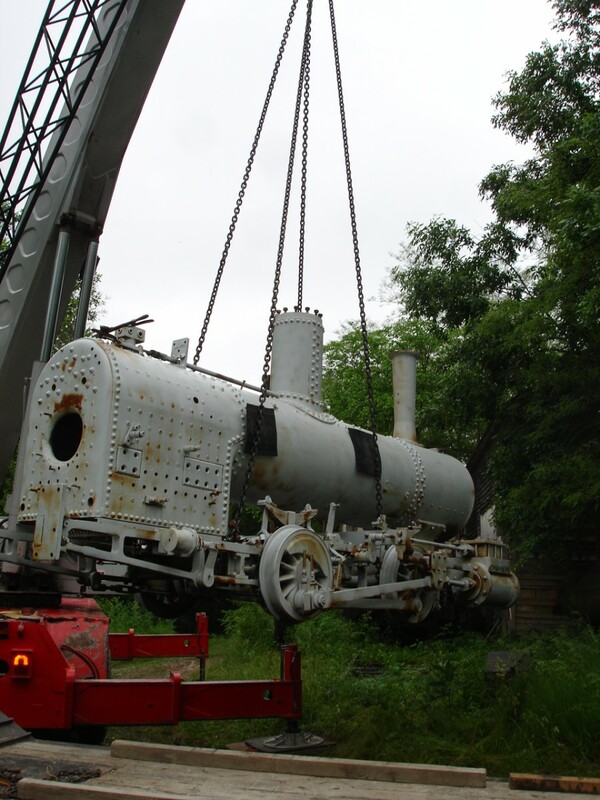 The Ryan Trust generously provided funds to enable the purchase and restoration. 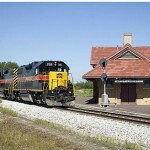 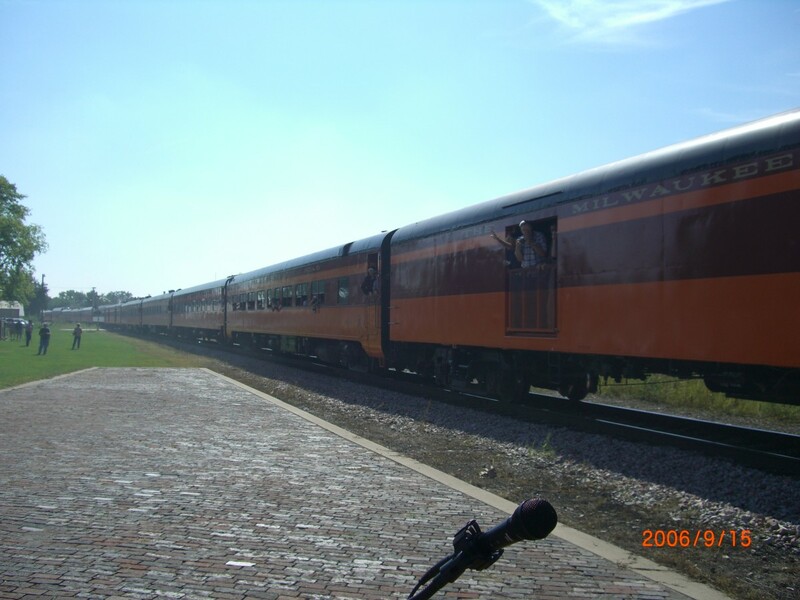 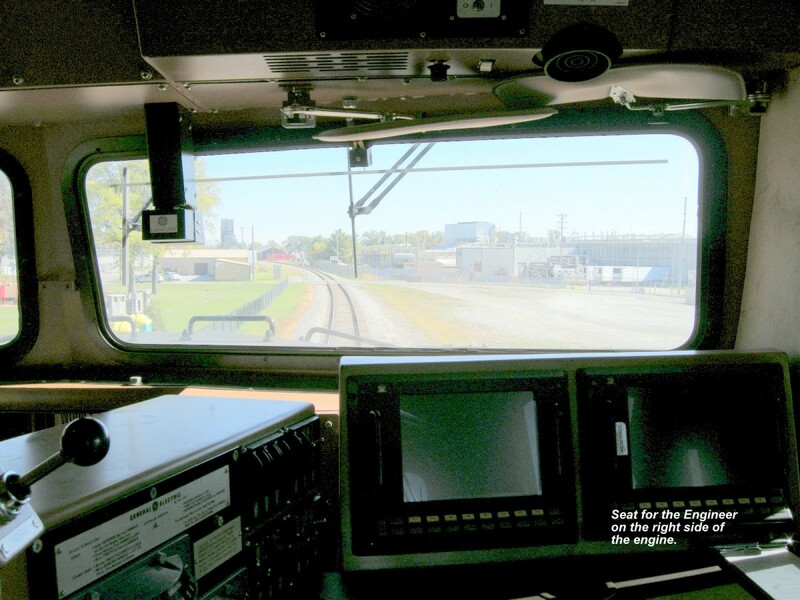 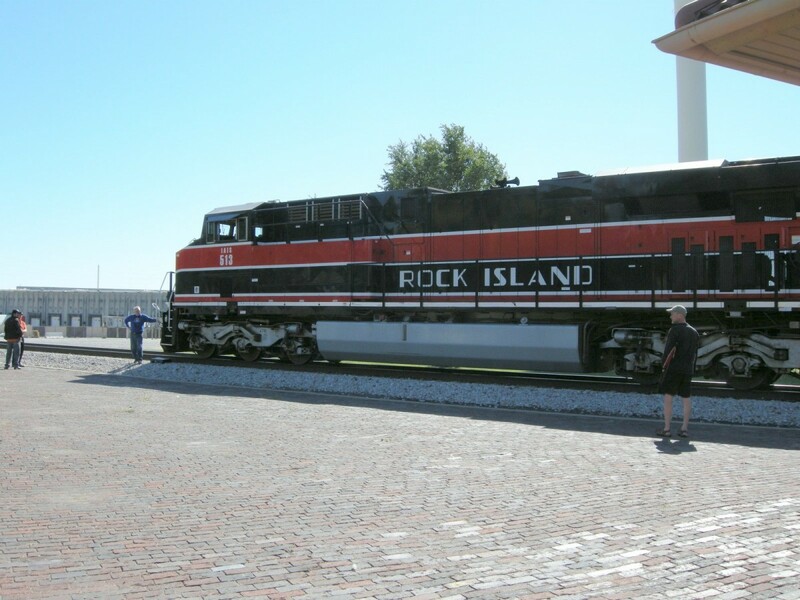 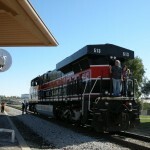 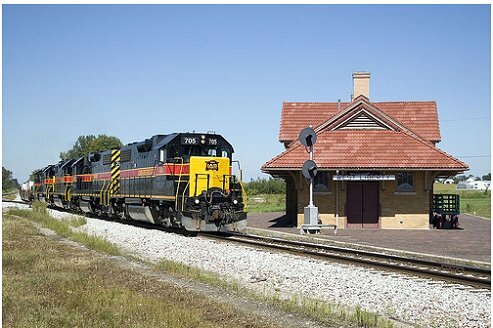 Trains pass the depot a number of times daily on the Iowa Interstate Railroad. 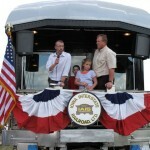 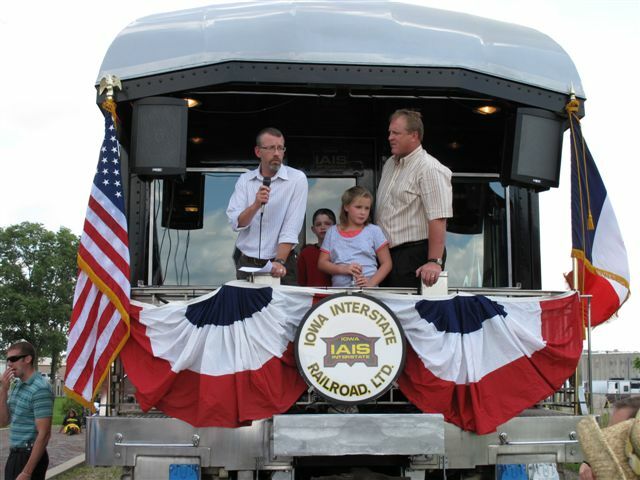 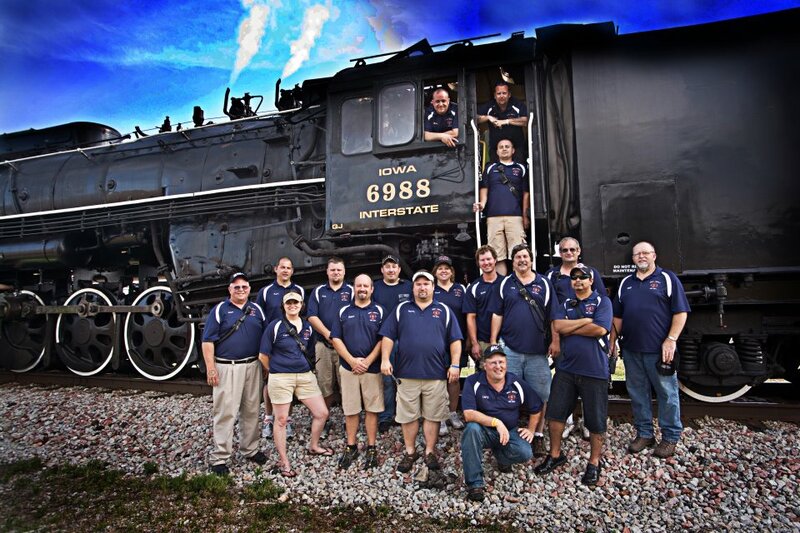 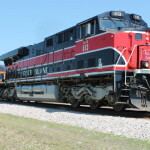 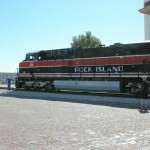 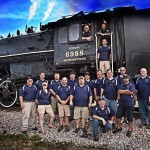 The West Liberty and Durant Fire Departments along with Iowa Interstate Railroad sponsored rides for families on Father’s Day, June 17, 2012. 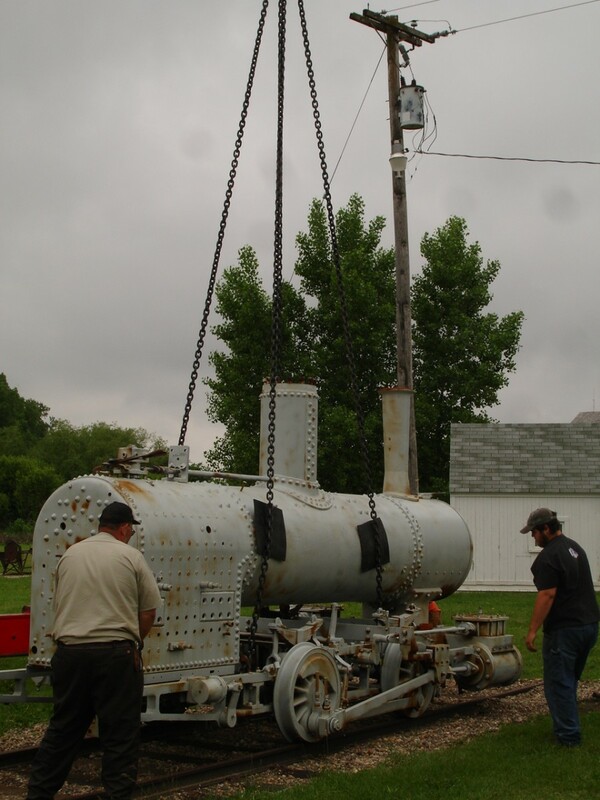 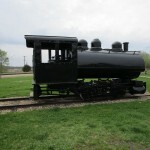 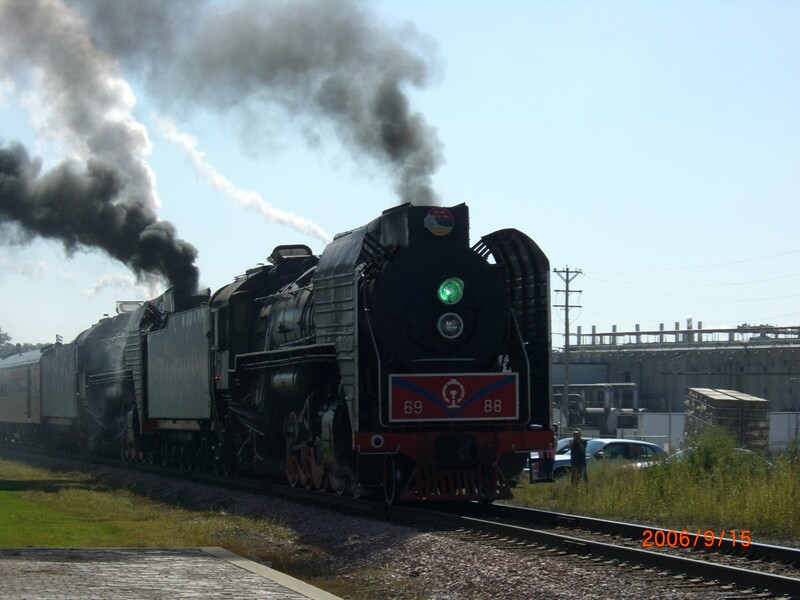 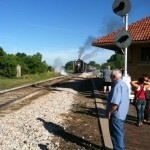 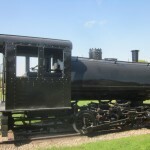 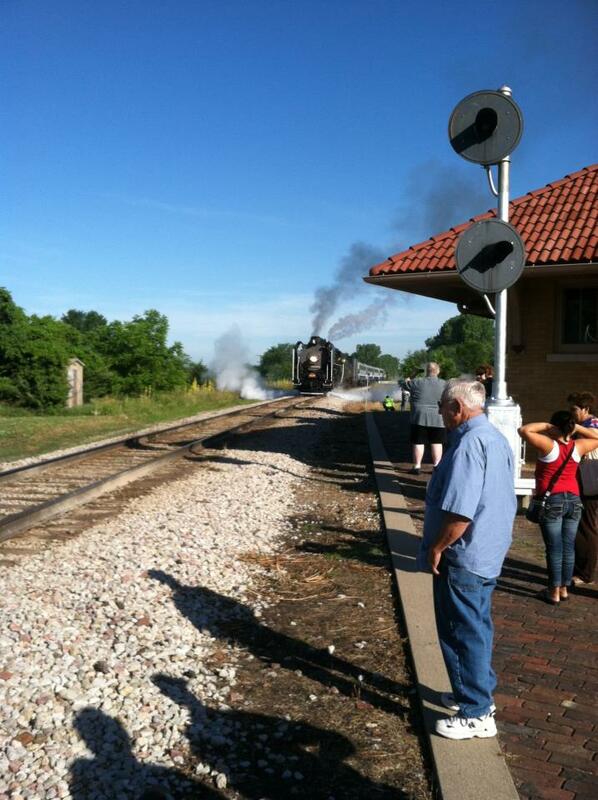 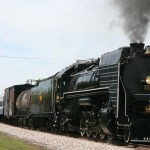 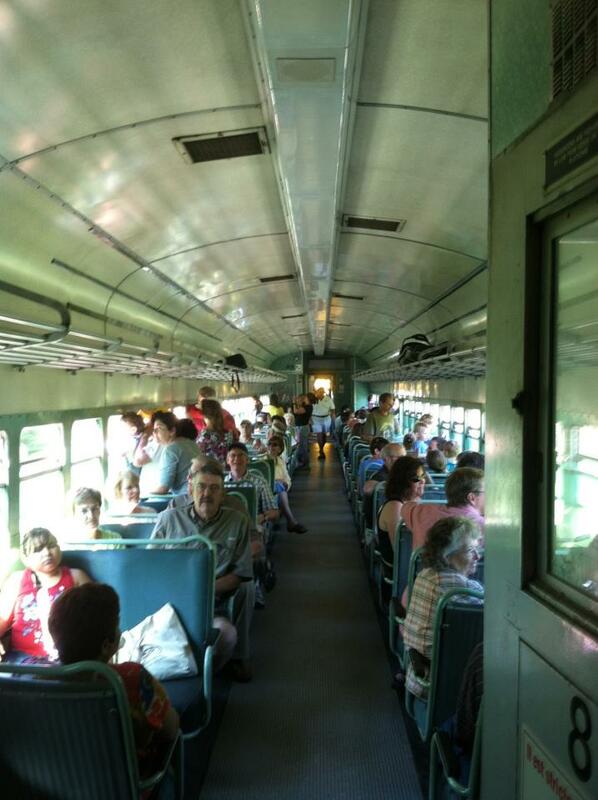 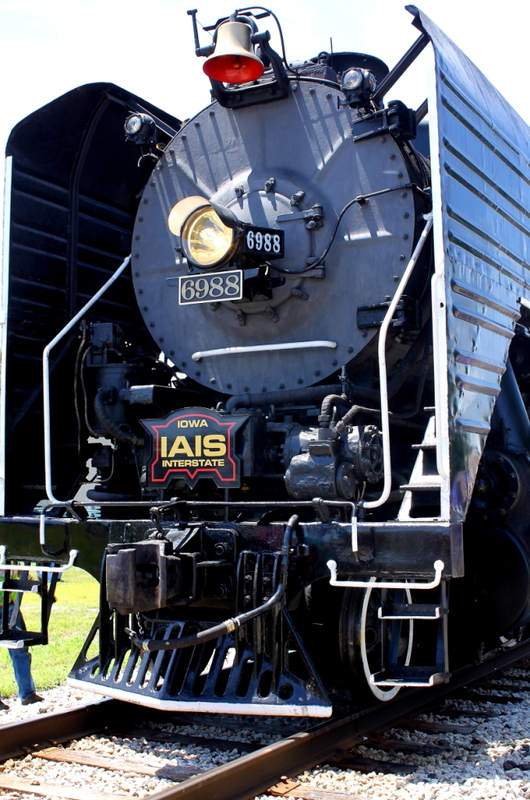 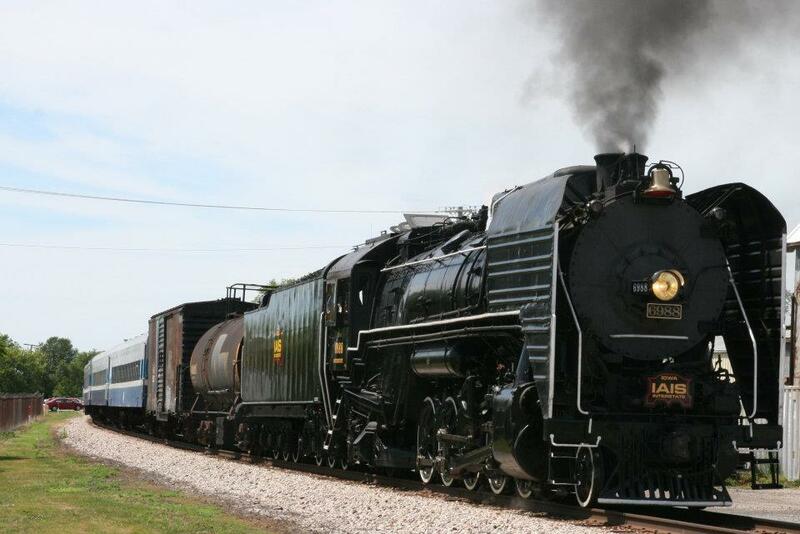 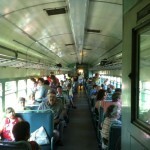 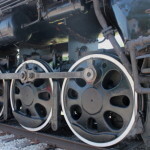 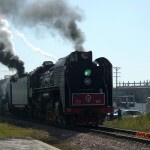 A coal-fired steam engine transported passengers to Durant and back. 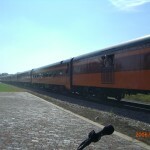 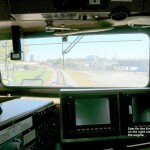 Following are more photos of trains that were present during special events or just passing through.